Honey Process… Perfectly ripe cherries are handpicked then depulped leaving their mucilage attached (this is a layer of flesh on the beans). They are then spread on drying beads. This process takes approx 10 / 12 days at this point water content of the beans should be approx 12%. Due to the fact no water is used in this process it’s an environmentally friendly coffee. Located in Comasagua the family owned farm dates back to the 1870’s. Mr Juan Urrutia started the family tradition, producing coffee, when he planted the first coffee trees in the volcanic soil at a high altitude, 1100 (m). Their first crop was 27 bags. Flowering occurs between April and May, cherries are harvested later from November to December. The area is home to many species, there are 24 different species of mammal and over 120 species of migatory birds. 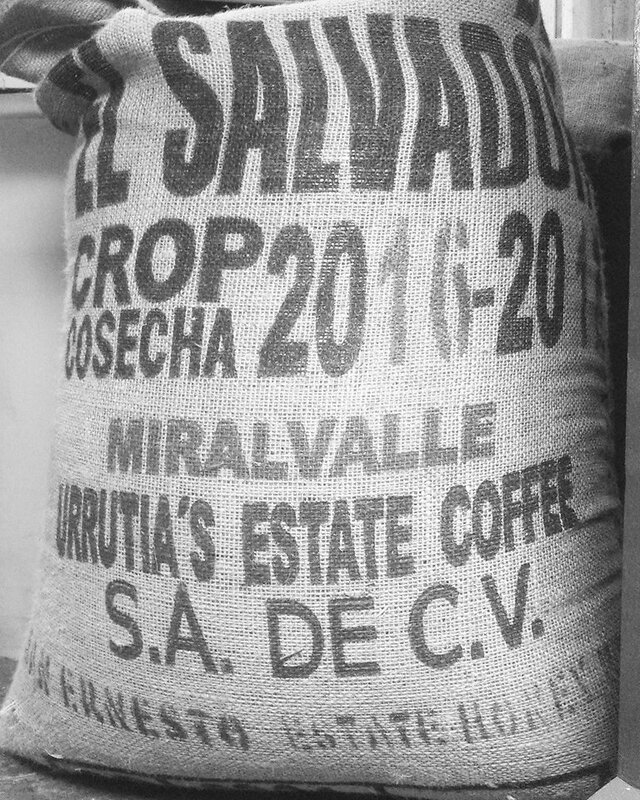 All Urrutia Estate coffees are 100% shade grown. The farm is certified Rainforest Alliance. Native trees are planted annually and help prevent erosion, izote and copalchi trees are natural wind barriers. Brew method ……We have been really enjoying her as drip through coffee so grab your V60 and get brewing !! Want to try a Honey Process Coffee…? Click Here ! !